From the country known for skiing and hiking we now and then also have a nice bottle of whisky. 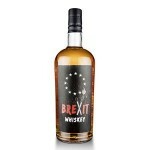 The Golles Brexit Whiskey is a single pot still single malt from Austria. This is batch 2 bottled..